Working in food and customer service myself, I'm no stranger to low tips, so I can understand the thrill that would come from receiving any tip that surpassed the one-digit mark. This is how Waffle House waitress Shaina Brown probably felt when she received a $1,000 tip from an overnight customer, but her likely joy soon turned to disappointment when the restaurant chain mandated that Brown return the money. Brown's been relentlessly serving tables for seven years, so she's definitely accustomed to every type of customer, ranging from the stereotypical bathroom user to the disgruntled and upset caffeine addict. An overly generous and wholehearted customer is somewhat of a rarity in the hospitality business. On Mother's Day at 3 a.m., a customer told Brown that he would bless her that night. To her pleasant surprise, after paying with a card, he wrote $1,500 as a tip, but asked Brown to give $500 to a bedraggled lady in a nearby table. Before he left, the good-natured patron told Brown, "You have a good spirit." Lucky for Brown, Josh Shaffer, a reporter at the Charlotte Observer, was able to track down the kindhearted business man who initially tipped Brown. After being informed of her name and what happened, he's writing her a personal check! Happy endings do happen to good people, folks. So I urge everyone — if you're visiting a food joint in the near future and are impressed by your service, it's better to hand deliver the tip to the waiter or waitress. 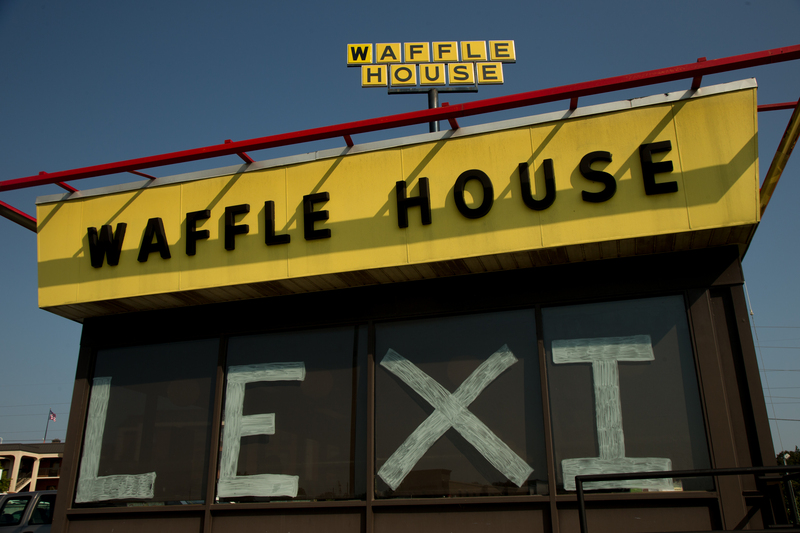 If you're going to a Waffle House in the near future, don't forgot your checkbook or some cash! And if you're a waiter or waitress and want better tips, just be nice and considerate and show empathy for your customers, OR wear some red lipstick because that works too.